If you’re a regular reader of financial websites, you’ve probably seen plenty of articles urging you to cut “unnecessary” expenses from your personal budget. And in many cases, if you read further, you learn that the unnecessary expenses the authors have in mind are luxuries, like coffeehouse lattes. Cutting out these “pointless” expenses, they argue, can save you thousands of dollars each year that you can put toward your long-term goals. Now, it’s true that items like these aren’t essential – but that doesn’t mean they have no value. In many cases, making room in your budget for luxuries can make you happier and healthier. For instance, it can be worth paying for a gym membership if you know it’s the only way you can get yourself to exercise, or splurging on a Disney theme park vacation that will bring you happy memories for years to come. However, there are other items in many budgets that are truly wastes of money. These are things that many people spend money on every day, even though there are cheaper alternatives that are just as good in every way. 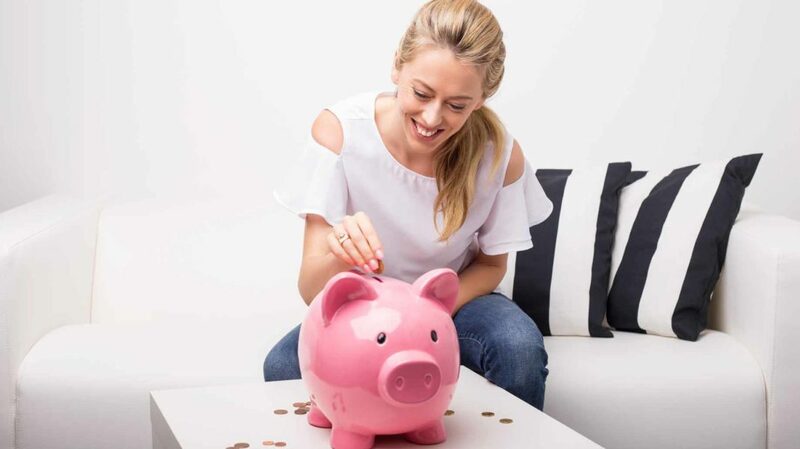 So if you’re looking for a truly painless way to trim hundreds or even thousands of dollars from your budget, these money-wasters are a good place to start. Single-cup coffee brewers have become hugely popular. These machines replace the large filter basket of a traditional drip coffee maker with a tiny, self-contained pod that holds a single serving’s worth of ground coffee, complete with its own filter. The best-known brand of single-serve coffee maker is Keurig, which calls its disposable pods “K-Cups.” The Washington Post reports that by 2014, about 25% of all American households owned one of these single-cup brewers, and K-Cups and other coffee pods accounted for more than one-third of all the coffee sold in the country. There’s no denying that single-cup brewers have many perks. For many people, it’s much more efficient to brew one cup at a time than to make a whole pot at once and risk having half of it go down the drain. The sealed pods help keep coffee fresh, and take most of the mess out of cleanup, since all you have to do is remove the little cup and throw it in the trash. On top of that, K-Cups come in lots of varieties. You can choose from all sorts of plain, decaffeinated, and flavored coffees, as well as alternatives such as tea, herbal tea, lattes, chai, cocoa, and even soup. This makes it possible for family members with different tastes to whip up whatever they want using the same machine. However, single-cup brewers also have some pretty obvious downsides – the biggest one being cost. For example, if you buy Dunkin’ Donuts Original Blend coffee in whole-bean or ground form, you pay $8.99 for a one-pound bag, which is enough to brew about 40 eight-ounce cups of coffee. That works out to about $0.22 per cup. But if you buy the same coffee in K-cup form, that same $8.99 gets you only 12 cups, sending the price to about $0.75 per cup – more than three times as much. Another problem with K-cups is their excess packaging. 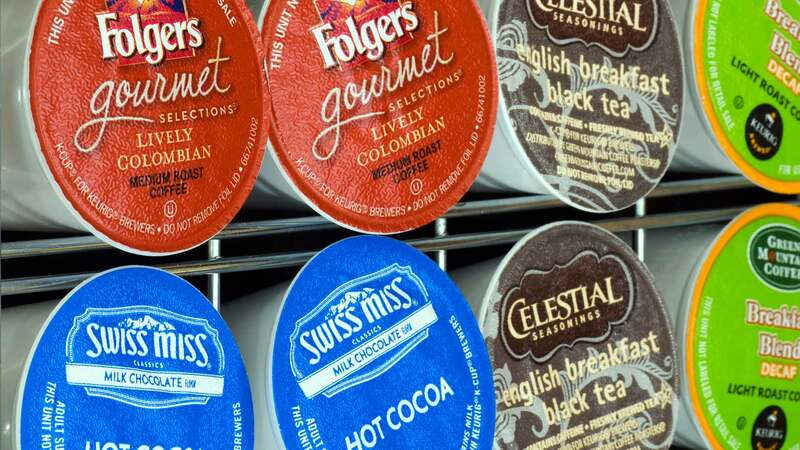 Mother Jones estimates that if all the K-Cups that went into Americans’ trash in 2013 were laid end to end, they would circle the globe 10.5 times. Only 5% of all K-Cups are made from recyclable plastic, and even those can’t just be tossed in the recycling bin after use, because you have to remove the aluminum lid and dump out the coffee grounds. John Sylvan, the inventor of the K-Cup, told The Atlantic in 2015 that he sometimes wishes he had never created it because of all the environmental problems it has caused. Fortunately, there’s a simple way to enjoy the convenience of single-cup brewing without all the added cost and waste. All you have to do is spend $15 or so on a reusable filter cup, such as Keurig’s My K-Cup, which lets you use your single-cup brewer with regular ground coffee. This way, you can avoid wasting money and resources on disposable cups and also avoid wasting coffee by brewing more than you need. Using a reusable filter in your single-cup brewer is, admittedly, a little bit more work. After brewing each cup, you have to remove the cup, empty out the grounds, and rinse the filter, rather than just tossing the whole thing in the trash. However, this takes only a few seconds – and it saves you a lot of money. If you buy Dunkin’ Donuts K-Cups at $8.99 per dozen, then enjoying a daily cup of Joe in K-Cup form costs you $273 a year. Switch to ground coffee at $8.99 a pound, and the cost drops to just $82 a year. So even with the $15 cost of the reusable filter, that’s a savings of $176. Microwave popcorn has been around as long as the microwave oven itself. In fact, it was Dr. Percy Spencer’s discovery that popcorn would pop when exposed to microwave radiation that led to the invention of the microwave oven in the 1940s. Today, Americans spend about $1.3 billion on bagged microwave popcorn each year, according to Quartz. However, buying popcorn in microwave bags is a pricey proposition. At Walmart, a six-envelope pack of Orville Redenbacher’s microwave popcorn sells for $3.48 – about 17.5 cents per ounce. By contrast, a 45-ounce bottle of Orville Redenbacher’s popcorn is $4.98, or about $0.11 per ounce. When you buy microwave bags, you’re paying about 60% more for a lot of extra packaging that’s just going to end up in a landfill. Popcorn, on its own, is a great, healthy snack. But most microwave popcorn is loaded with fat and salt – and maybe some other chemicals you don’t want in your body. 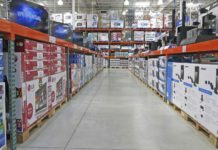 SafeBee, a website run by the safety-science company UL, warns that the linings of some microwave popcorn bags contain perfluorooctanoic acid (PFOA), a chemical that’s been linked to kidney and testicular cancer. Quartz says these health risks are the main reason why many Americans are now turning away from microwave popcorn and choosing even more expensive ready-to-eat popcorn. Hot-Air Popping. For about $25, you can buy a hot-air popper and make your own popcorn with no oil. This method is quick and easy, but it also requires you to make room for an extra appliance in your kitchen. Stove-Top Popping. You can also make popcorn the old-fashioned way: on the stove. Food Network outlines a simple stove-top popping method that keeps the corn from burning. The only tool it requires is a large pot, such as a Dutch oven or a Whirley-Pop. Popping corn this way is a little more work than popping it in the microwave, and it may also require you to use at least a little bit of oil. Brown-Bag Popping. Consumer Reports explains how you can make your own microwave popcorn using a simple brown paper bag. 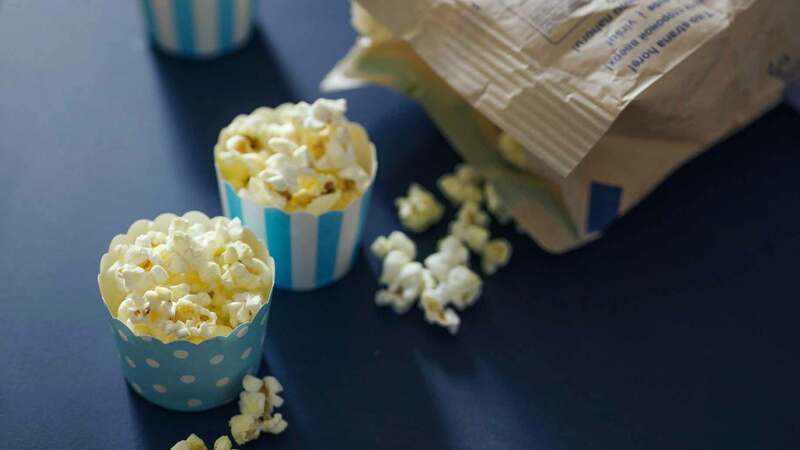 All you have to do is toss a few tablespoons of popcorn in the bag, fold the top over two or three times, and microwave it for two to three minutes. This method requires no added oil, and you can even save the bag to reuse later. A Reusable Popper. You can also make popcorn in the microwave with a reusable popcorn popper, which costs about $15. Or, just put the popcorn in a two-quart glass mixing bowl and invert a plastic colander over the top to keep the popcorn from escaping the bowl as it pops. If you already own these two common kitchen tools, this method costs nothing to try. However, you’ll probably have to experiment a bit to figure out how long you should run the microwave to pop as much corn as possible without burning it. Any of these methods is cheaper than buying your popcorn in microwave bags. If you enjoy a batch of popcorn three times a week, using bagged microwave popcorn costs you a little over $90 a year. Switch to home-popped corn that you buy in a jar, and you’ll spend only $24 a year – a $66 savings. 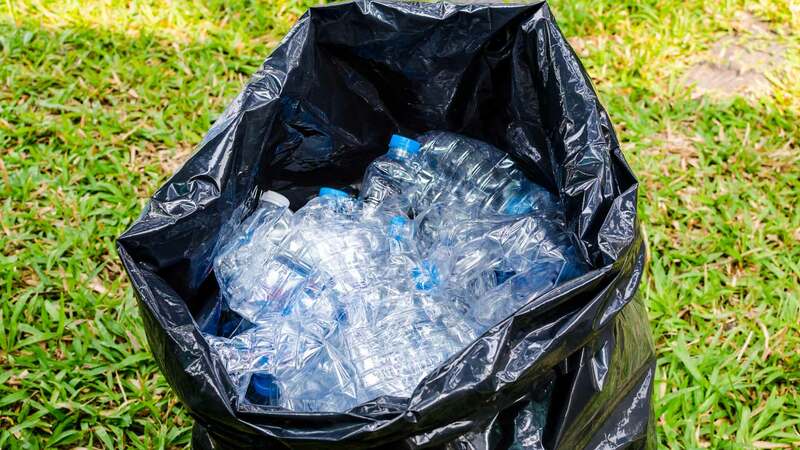 Americans consume billions of gallons of bottled water each year – about 34 gallons per person, according to the International Bottled Water Association. Yet the vast majority of Americans can get clean, safe water right out of a tap for practically nothing. In fact, many bottled waters are nothing but ordinary tap water that’s been filtered, bottled, and sold at a vastly inflated price. If you spend $1 on a 16.9-ounce bottle of water, you’re paying $7.57 per gallon for something that costs less than $0.01 per gallon from the faucet. Bottled water has serious environmental costs as well. Each year, millions of tons of plastic go into making millions of single-use water bottles, few of which are ever recycled. Making the bottles and shipping the water to stores uses vast amounts of energy, produces millions of tons of greenhouse gases, and pollutes the air with toxic chemicals, such as benzene. 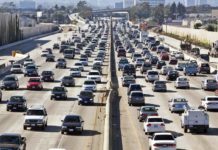 So why are Americans willing to pay so much – in dollars, energy, and waste – for something they could get for almost nothing? Bottled water drinkers give three main reasons for their choice: taste, safety, and convenience. Many people say they prefer bottled water because their tap water tastes bad. However, this claim doesn’t always “hold water.” In blind taste tests of different waters conducted in cities across the country, tap water is nearly always among the top picks. But even if you’re one of the unfortunate few whose local water really does have an off taste, a simple pitcher filter can probably fix it. A basic Brita pitcher costs about $20; filters cost $2.50 each and can filter about 40 gallons of water. Filtering water this way brings the cost down to about $0.06 per gallon. In the United States, the Safe Drinking Water Act sets strict safety standards for public water sources. While most municipal water systems meet these standards, more than 10% do not. One notorious case is Flint, Michigan, which made the national news in 2015 with the discovery that its drinking water was contaminated with lead and harmful bacteria. However, bottled water isn’t necessarily safer. The safety standards for bottled water are exactly the same as those for tap water – and the rules for testing that water and reporting any problems are far less strict than they are for tap water. A better solution is a high-end filter that can remove impurities from tap water – which is just what the people of Flint used while waiting for their local water to be declared safe again. For instance, ZeroWater claims that its $40 filter pitcher can remove 99.9% of contaminants, including lead. Filters cost about $16 each and can clean 30 gallons of water, for an overall cost of $0.53 per gallon. Bottled water is easy to take it on the go, which makes it easier to stay hydrated. However, you can do the same with tap water with the help of a reusable bottle or flask. A stainless-steel flask with a sports bottle top costs about $17, and you can keep rinsing and reusing it indefinitely. With a decent filter and a reusable bottle, you can have all the convenience and quality of bottled water for a fraction of the cost. If you currently go through two $1 bottles of water every day, your “water bill” comes to $730 a year. Investing $50 in a pitcher filter, a year’s supply of filters, and a reusable bottle can drop this cost to about $6, for a total savings of $674. Dryer sheets are supposed to soften clothes, fight static, and leave a nice, fresh scent. However, according to EcoWatch, that “fresh” scent often comes from a host of nasty chemicals, including limonene, butane, and acetone. Some of these chemicals are toxic, while others are known allergens – and since they’re all lumped together as “fragrance” on the package label, there’s no way to know exactly which ones you’re being exposed to. Dryer sheets can cause other problems too. The chemicals in them can leave behind a film on your dryer’s lint screen, reducing the machine’s efficiency. They can also damage certain types of clothes, including microfiber towels, swimsuits, and cloth diapers. And finally, all those disposable sheets produce a lot of unnecessary waste. Admittedly, dryer sheets aren’t all that expensive. Each sheet costs about $0.03, so if you do two loads of laundry a week, that’s only $3.12 per year. But given their health risks and the other problems they can cause, it’s still worth looking for alternatives. The solution EcoWatch recommends is to use reusable wool dryer balls. These balls of felted wool tumble around in the dryer with your clothes, eliminating static and wrinkles without any chemicals. A six-pack costs approximately $20, so it would take several years for these to pay for themselves and begin saving money against the cost of dryer sheets. However, EcoWatch claims they offer another benefit as well: They “actually save time and energy by cutting down on drying time.” A blogger at The Homemade Experiment tested this claim and found that the balls do, in fact, cut drying time by about 20%. With these energy savings, the balls could pay for themselves more quickly. Make Homemade Dryer Balls. Several websites explain how to make your own felted wool balls for the dryer. Basically, you bundle up a small ball of woolen yarn, stick it in the foot of an old pair of pantyhose, and run it through a cycle or two on hot to achieve the “felted” texture. A skein of woolen yarn costs around $5 online, so these DIY laundry balls cost a little less than half the price of the commercial ones. Use Reusable Dryer Sheets. Some household-hints sites recommend spraying diluted fabric softener on a washcloth or other scrap of fabric to make a reusable dryer sheet. You can keep using the same cloth over and over, spraying on a little more fabric softener each time you use it. This cuts down on waste, but it doesn’t avoid the health problems of dryer sheets, since liquid fabric softener contains many of the same chemicals. However, some sites say you can get the same softening effect with nontoxic vinegar, and it doesn’t leave behind any unpleasant smells. Use Old Tennis Balls. Tennis balls have a felted surface just like woolen dryer balls, and according to some, they’re just as effective for softening your laundry. Some users who have tried them say they can also cut drying time by as much as 50%. Toss In Crumpled Foil. Simply wad up a ball of aluminum foil and toss it in the dryer with your clothes. Unlike woolen laundry balls or tennis balls, this aluminum ball doesn’t reduce your drying time – however, it does prevent static cling, and it costs almost nothing. Keep an Old Sweater Handy. EcoWatch says throwing an old sweater in with your laundry works much the same way as using a set of woolen dryer balls, reducing static and also shortening drying time. Just be sure to avoid using a sweater you want to wear again, since woolen clothes shrink in the dryer. Avoid Synthetic Fibers. Several natural-living sites note that static cling mainly affects clothes made of synthetic fibers, such as polyester. So if your clothes are made mostly of natural fibers, such as cotton or linen, you can probably skip the dryer sheets without worrying about static. Give It a Shake. Perhaps the simplest way to deal with static is to shake it off – literally. Just give each piece of clothing a brisk shake as you remove it from the dryer, and you’ll disperse any built-up static charge while also reducing wrinkles. Line Dry. The most radical solution is to skip the dryer entirely and hang your clothes on a line or a rack. This completely avoids the problem of static cling and cuts way down on your laundry costs. However, line-dried clothes tend to come out feeling stiff, rather than soft. One compromise is to hang clothes until they’re dry, then give them just a quick tumble in the dryer to soften them up. Some household-hints sites add that adding vinegar during your washer’s rinse cycle keeps line-dried clothes soft. Simply dropping dryer sheets from your laundry routine can only save you about $3 a year. However, switching to dryer balls or tennis balls can boost these savings by cutting your energy bill. According to home-energy expert Michael Bluejay, running an electric dryer costs about $0.43 per load, or $45 per year, so cutting drying time by 20% with dryer balls or tennis balls can save you an extra $9 per year. Or, if you decide to switch to line-drying, you can save the entire $45. Paying for TV service has become the norm in America. 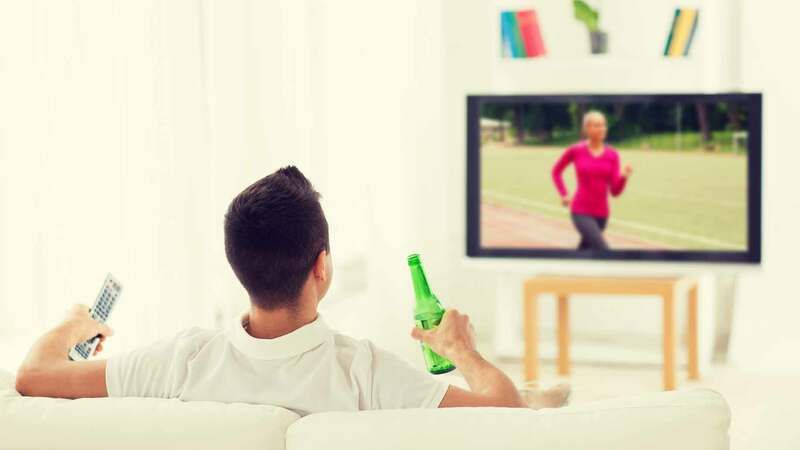 A 2015 survey by the Leitchman Research Group found that about 83% of all Americans subscribe to some form of pay TV – cable, satellite, or fiber-optic. The average cost for these services is $99.10 a month, or $1,189.20 a year. However, this percentage is actually a bit lower than it used to be. The last time Leichtman conducted its survey, in 2010, 87% of all households were TV subscribers. The main reason for the drop appears to be that there are fewer new households signing up for cable TV each year to take the place of those that have quit. So it seems that these days, when people move out into their first homes, they don’t all sign up for cable as a matter of course. Streaming. If you already have a high-speed Internet connection, you can watch a vast variety of TV shows online. Streaming services like Hulu, Netflix, and Amazon Prime offer access to thousands of shows, including past seasons of popular cable series, current episodes of network TV shows, and original shows that you can only watch online. These services each cost around $9 a month, far less than the $99 average monthly cost of a cable or satellite connection. You can also watch current episodes of some cable TV series through the cable providers’ websites for free. A bonus of watching this way is that you can tune in your shows on your own schedule, rather than the network’s. Downloads. You can download individual episodes of many TV shows from iTunes or VUDU for $2 to $3 a pop. Of course, if you watch a lot of TV, getting all your shows this way would be pretty expensive – probably more expensive than the $99-a-month cost for cable. But downloading shows can be a good deal if you only turn on the TV once in a while, or if you want to watch just one particular show that you can’t get through a streaming service. Library Discs. Check out the video shelves at your local public library to see if it has TV shows available to borrow on DVD. In the town where I live, the modest-sided library offers the whole run of many hit shows, like “Weeds” and “True Blood,” as well as cult classics, such as “Firefly.” Discs contain multiple episodes and are free to check out. Network TV. Even though most households these days rely on cable, it’s still perfectly possible to watch TV the old-fashioned way – over the airwaves – for free. All you need is a good antenna that can pick up digital TV signals. You can probably get the best results with a roof-mounted antenna, which you can buy for around $40 or more. However, if you don’t want to spend that much for network TV – or if you don’t have access to your roof – there are various types of inexpensive indoor antennas that are easy to install. Digital Trends recommends several models priced at around $50. An even cheaper option is to build your own antenna. Popular Mechanics explains how to build one with stock lumber and copper wire. There are also tutorials online for DIY antennas made from materials that are nearly free, such as scrap wood and old coat hangers, or cardboard and aluminum foil. Cutting the cable cord offers major savings. If you replace a $99-a-month cable service with an $8-a-month Hulu subscription, you’re looking at an extra $1,092 per year in your pocket. These are a few examples of unnecessary expenses that can weigh down your budget – but they’re definitely not the whole list. Even if you’ve already canceled your cable subscription, switched to tap water, and replaced your K-Cups with a reusable version, you could still have other money-wasters in your budget that you don’t even think about. For instance, maybe you buy a lottery ticket every day, even though the odds of winning are minuscule. Perhaps you fritter away your dollars on in-app purchases in games like Candy Crush. Or possibly you’re losing dollars every month to bank and credit card fees that you could avoid by keeping a closer eye on your account. Each person’s budget is different, and so each person has their own particular budget leaks that drain money from their pockets without giving them anything useful in return. So if you’re trying to cut out unnecessary spending, don’t just limit yourself to these five particular money-wasters. Instead, take a good look at every single expense in your budget and ask yourself whether it’s really a worthwhile use of your money. There’s always a chance that, with a little research, you could uncover a cheap or free alternative out there that could save you a bundle. What other expenses do you think are unnecessary?